In the spirit of full disclosure, I need to admit that I have not read the James Dashner books that The Maze Runner is based on. In fact, I almost didn’t end up seeing this movie at all; watching another end-is-nigh YA money-muncher is starting to feel a bit old hat. Not to mention that the film features an almost exclusively male cast that, judging from the trailer, spends most of the movie running around the set of Jim Henson’s Labyrinth wearing laser tag vests. But because I had a free afternoon today, and had literally nothing better to do, I saw it anyway. And I’m definitely not sorry I did. For those of us who haven’t read the books, the story is about a group of boys who wake up in a mysterious glade with nothing but the clothes on their backs and a serious recall problem. None of them remember who they are or where they came from. Thomas (Dylan O’Brian), one of the unlucky amnesiacs, takes it upon himself to help the boys find a way out of the glade by exploring the ever-changing mechanical maze that surrounds them. 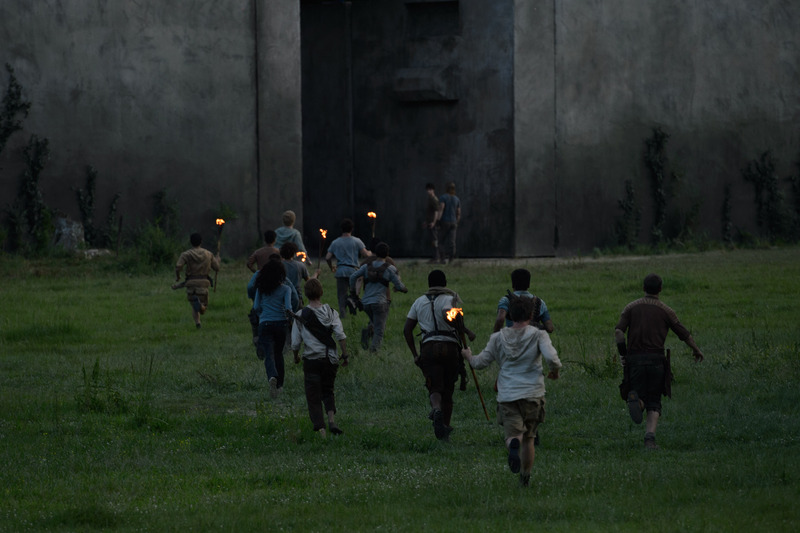 Maze Runner is carried completely by it’s young and pretty unknown cast, which from a film making point of view must feel like letting a toddler take a drivers test. It’s not like The Hunger Games, where Jennifer Lawrence was already making the Oscar-rounds before being cast as Katniss. That being said, Runner delivers some impressive performances, particularly from resident PYT O’Brian. One of the movie’s best moments is the very first, when we see a panic-stricken Thomas being propelled upward in a underground elevator like a human push-pop. I could also make a Lord of the Flies reference here, if I thought it hadn’t been done a million times; I will say, though, that the boys’ group dynamics are just as fun to watch as the action sequences. Which, just to be clear, were super fun to watch. Verdict: Go see it. It’s not Citizen Kane, but it’s a pretty good time at the movies.